The 217,360 acre Gualaquiza Municipal Reserve is the most recent in a long line of declarations brought about by the work of our office in Cuenca, Ecuador. This new reserve is twice the size of the nearby Cajas National Park, and protects pristine cloud forests while ensuring both the quality and quantity of the water supply for local communities. The Andes Mountains are home to an extraordinary number of species, many of which are found nowhere else in the world, making this one of our top priorities for biodiversity conservation. 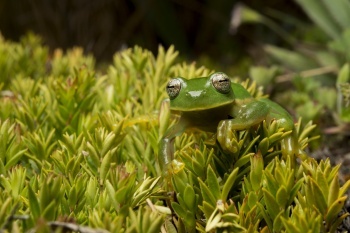 In the past month alone, two different frog species that were previously believed to be extinct (the Azuay Stubfoot-Toad and more recently, Atelopus bomolochos) were discovered in Sigsig, one of the areas we are working to protect. 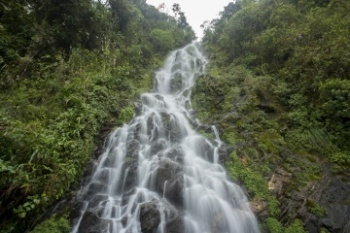 The cloud forests of the Andes also play a vital role in the water supply, making their preservation crucial to the health and prosperity of the local people. Despite this, the Andes’ vital ecosystems are threatened by unsustainable practices that provide poor economic returns, including deforestation for cattle grazing. Today, just 5% to 25% of the original forest cover remains in most areas. We are working with local communities and governments to create a corridor of protected areas extending 600 miles down the spine of the Andes. In the past 5 years we have helped protect 350,000 acres, and are well on our way to saving another 200,000 by the end of 2016. 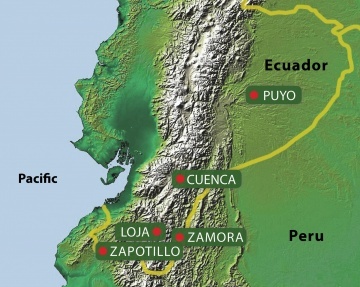 The most recent in a long line of declarations brought about by the work of our office in Cuenca is the Gualaquiza Municipal Reserve, officially declared in June 2015. This reserve protects 217,360 acres of pristine cloud forest, and ensures both the quality and quantity of the water supply for the municipality’s 17,000 inhabitants. This declaration comes after two years of close work with the municipal government, Ministry of Environment, and local communities. Now, our office in Cuenca is working with the nearby municipalities of Santiago de Méndez, Sigsig, El Pan and Sevilla de Oro to protect another 200,000 acres, creating habitat connectivity for endangered species and conserving the region’s water supply. We are seeking $40,000 per municipality to match our investment and expedite their entry into the regional water fund, which generates ongoing funding for conservation.